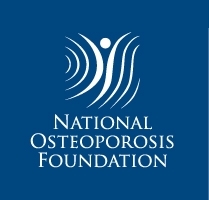 The International Osteoporosis Foundation (IOF) and the International Federation of Clinical Chemistry and Laboratory Medicine (IFCC) recommend that a marker of bone formation (serum procollagen type I N propeptide, s-PINP) and a marker of bone resorption (serum C-terminal telopeptide of type I collagen, s-CTX) are used as reference analytes for bone turnover markers in clinical studies. Bone turnover markers (BTM) predict fracture risk, and treatment-induced changes in specific markers account for a substantial proportion of fracture risk reduction. The aims of this report were to determine their clinical potential in the prediction of fracture risk and for monitoring the treatment of osteoporosis and to set an appropriate research agenda. Evidence from prospective studies was gathered through literature review of the PUBMED database between the years 2000 and 2010 and the systematic review of the Agency for Healthcare Research and Quality up to 2001. High levels of BTMs may predict fracture risk independently from bone mineral density in postmenopausal women. They have been used for this purpose in clinical practice for many years, but there is still a need for stronger evidence on which to base practice. BTMs provide pharmacodynamic information on the response to osteoporosis treatment, and as a result, they are widely used for monitoring treatment in the individual. However, their clinical value for monitoring is limited by inadequate appreciation of the sources of variability, by limited data for comparison of treatments using the same BTM and by inadequate quality control. IOF/IFCC recommend one bone formation marker (s-PINP) and one bone resorption marker (s-CTX) to be used as reference markers and measured by standardised assays in observational and intervention studies in order to compare the performance of alternatives and to enlarge the international experience of the application of markers to clinical medicine. BTM hold promise in fracture risk prediction and for monitoring treatment. Uncertainties over their clinical use can be in part resolved by adopting international reference standards. 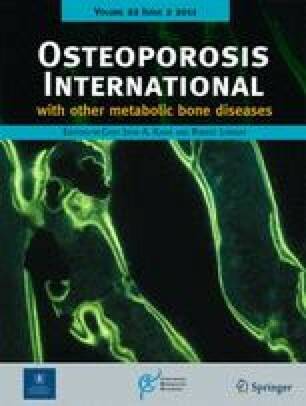 This review was undertaken through grants from the International Osteoporosis Foundation and the International Federation of Clinical Chemistry and Laboratory Medicine. It is endorsed by the Committee of Scientific Advisors of the IOF and the Education and Management Division of IFCC. None of the authors were compensated for their contribution. JAK, CC, OB, AJF, MMcC and MS have no competing interests with regard to markers of bone turnover. AG, SDV, TT and DAW declare no competing interests. HAM has participated in speakers bureaux for Roche Diagnostics Australia and Abbott Diagnostics with the provision of travel expenses. RE has received research funding and/or consultancy funding from Inverness Medical, Unipath, Roche Diagnostics and IDS.